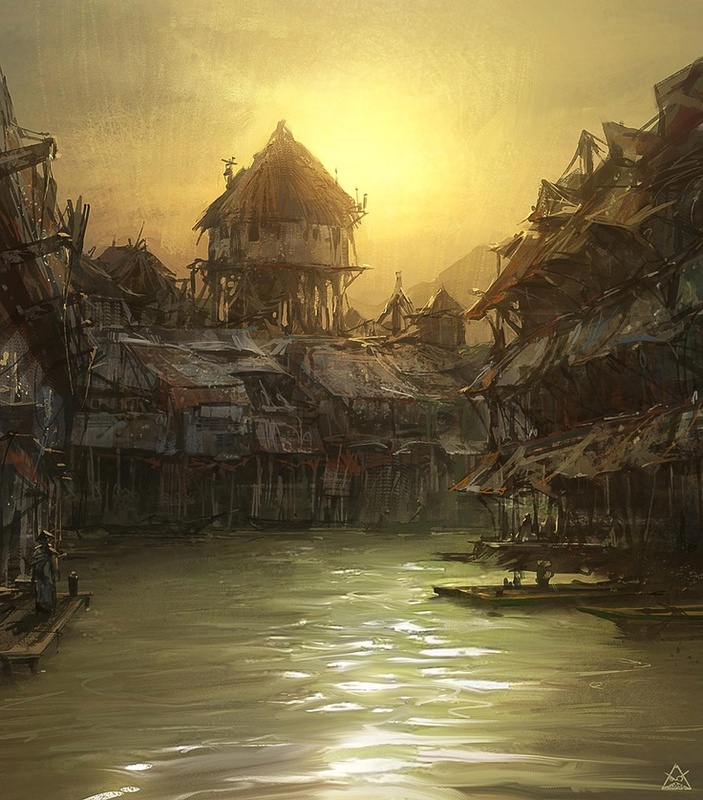 Welcome to Varlyrio – The Guild of Merchants, Marauders and Mariners. If you are looking for political intrigue, desolate wastes or savage seas, look no further! Varlyrio is an island Guild located off the west coat of Avalonia, and is diverse culturally as well as geographically. The Guild colors are Gold and White, but Dark red, White and Black are the favored colors for buildings along the eastern coast. Incorporating these colors as appropriate into your builds will help show you Guild affiliation. Read on below for a much more detailed description of the Island Guild of secrets and intrigue. 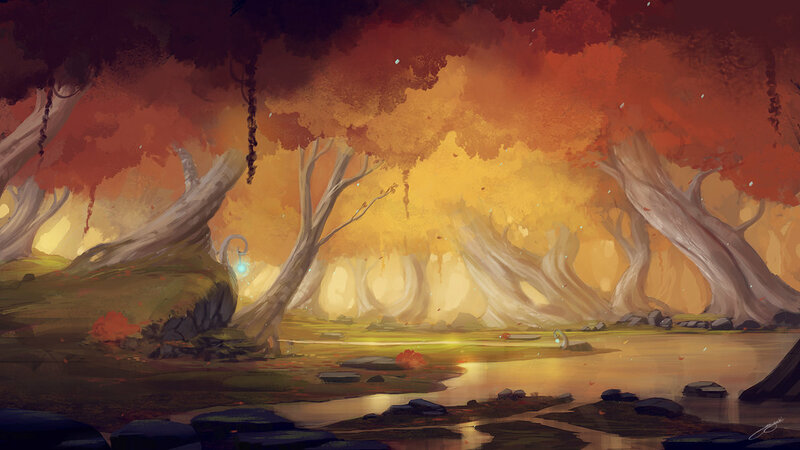 The bard’s song tells a tale of a world long forgotten. Race against race, clan against clan; shields clashed with swords, long ago when Men of the Lion fought Men of the Falcon, and human armies succumbed to Orcs and undead. Each group clashed with its neighbor for power, unleashing upon the world a great scourge. The arcadian land was thrown into chaos. When all seemed lost, a council of wise men and sages was summoned. From all the lands they came to convene in the old world’s greatest city: the fortress of Cedrica. To settle the grievances and end a millennium of bloodshed, the sages declined all the treaties of old and joined the clans into one mighty Kingdom: Historica. They founded the Four Great Guilds – each one a realm in itself – Mitgardia in the North, Nocturnus in the East, Kaliphlin in the South, and Avalonia in the West, so that trade routes would spring up and clans would meet in the markets and not in the theatre of war. The wise men chose a family of great honor, to uphold the truce and to keep the four guilds from dispute, and descendants of that mighty kin ruled the central lands of Historica for decades. But darkness and chaos had only been thwarted, not conquered. Magic was unleashed upon the land, magic that fell into the hands of Victor Revolword. Only in union did the Guilds find strength to defeat him and destroy the Elemental Helm that gave him power. Yet the struggle was not over, for out of the chaos magic had bred there arose a new threat: The Black Spire. Ravage the Terrible, of whom no man ever spoke save with bated breath and behind closed doors, ruled the darklands of Nocturnus with a rod of iron and resistance glowed only in scattered embers. Meanwhile Drow invaded Avalonia, Algus from the north swept into Mitgardia, and the resurrection of the ancient Desert King threw Kaliphlin into confusion. Slowly, the heroes of the Guilds realized the truth: the fire that fueled the powers of destruction and chaos throughout the land burnt deep in the heart of Nocturnus. There Ravaage sought for the ultimate power, the Necromancer’s Helm. Only by once again uniting, this time against Ravaage, could Historica be saved from ashes and the rule of the undead. But who would unite the Guilds? The King had been slain by Revolword, his son murdered by Ravaage; no other family could command the respect of all the Guilds or ignite their loyalty and patriotism. Yet a rumor arose, a rumor of hope. An heir had appeared, under whose banner all who desired peace could unite. Heroes of Historica, rise up and fight the invader who brings discord to your realm! And rise the heroes did. Throughout the land, in every corner, evil and chaos were subdued. Rivals pledged allegiance to the new, unknown King, and sallied forth to battle Ravaage together. Old jealousies were forgotten. Each man felt that it was the dawning of a new day for Historica. By trickery, the mages of Historica defeated Ravaage and destroyed him, sealing the chamber of the Necromancer’s Helm forever. Leaderless, Ravaage’s army has crumbled, his plans and power vanished. Disorder remains, but the worst seems to be over. All eyes turn toward the throne of Cedrica, where the new monarch, Queen Ylspeth, reigns and rebuilds. Much needs to be resolved, many questions remain to be answered, but at last, Historica breaths free. With contrasting expanses of great wealth with great hardship, Varlyrio is home to fertile lands, towering mountains, and dry wastelands, surrounded by the great oceans. The island is inhabited by numerous races and even more cultures. With the wind in your sails, Varlyrio is about 2 weeks sail west from the port of Barqa and even closer to the southern reaches of Avalonia. Varlyrio is known for its Master merchants, expert sailors, and convoluted politics, all driven largely by money and power. Varlyrio is ruled by powerful families, who fight for lucrative positions as trade ministers. The Ministers use their power and influence to further their own houses, and vie for the coveted position as the Varlyrio’s Minister of Trade, the Rego of the Guild. Not all of Varlyrio is easily accessible. Heavy easterly currents prevent all but the most experienced captains from accessing the western shores by sea, and for those that dare, they must also face the extensive pirates that roam the seas around the island. Only eastern Varlyrio can be reasonably accessed by sea. By land the island is just as hard to cross. A high range of mountains separates the fertile east from the wastelands to the west. The inhabitants of Eastern Varlyrio are similarly isolated, rugged and formidable. Long ago, about the time that the sages of Historica were joining together in council at Cedrica - a time when myths still shrouds the history of the realm - the ancient family of Cioto claim to have been the rulers of Varlyrio, pointing proudly to the legendary Aureo de Cioto as the founder of the guild. However, the first written records still in existence date from the reign of Blasio Amancio, a master shipbuilder and a wise and sturdy leader, who brought peace and prosperity to his island kingdom and founded the city of Illaryian. When the king died from a jousting wound, however, his oldest son was still a babe, and the family of Chiaro, the merchants and builders of the guild, took charge of the island for three generations. 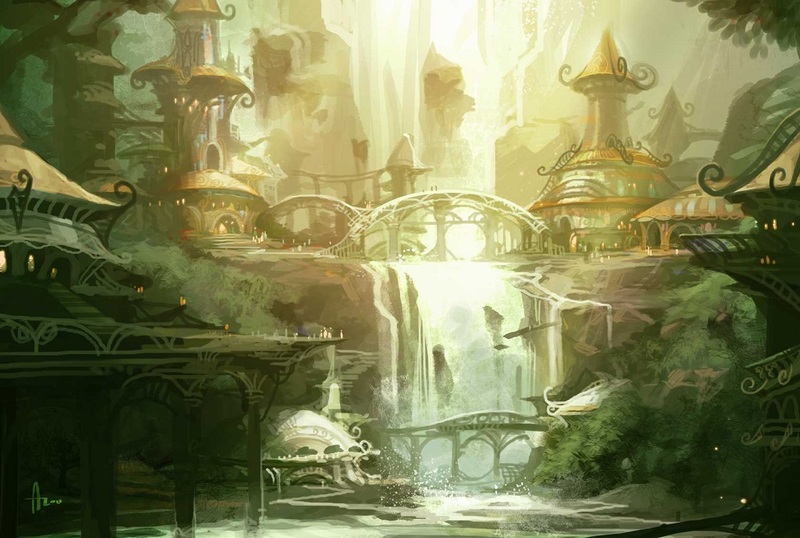 They were benevolent and kindly, inviting some enterprising foreigners like the Khoar's, master armor-makers and experts in dragon-leathers, to the guild, but disaster struck soon after the last Chiaro mounted the throne as the two islands of Varlyrio crashed into each other and, shortly afterwards, the young Rego mysteriously died. 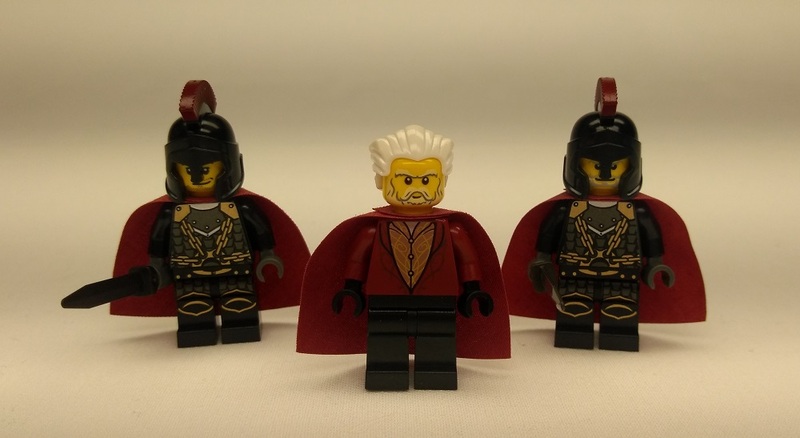 The powerful lord of Baiamonte, head of a family which had long been building its way up through the ranks of the soldiery, stepped up to fill the vacancy. Ruling the land with a rod of iron, the Baiamonte's did their best to keep the families of Varlyrio always separate and at variance with one another, but despite all their efforts, the Amancios's, Chiaros, and the rising family of de Fiori, sword-makers of the realm, continued to grow in power and influence. The marriage of the dashing Dialto de Fiori to Angela Chiaro, eldest daughter of the house, was about to unite the two families, when the young bride was assassinated on the eve of the wedding by Baiamonte's minions. He had succeeded at preventing a union which would have given another family the dominance of power in the guild, passing up both the Amancios and Baiamontes, but it would prove the last straw for the Varlyrian people. The Baiamonte's involvement in the mysterious disappearance of the young Rego of the house of Chiaro, which had allowed the Baiamonte's to come to power and had previously only been hinted at in whispers, became the open talk of the guild, and before long, the Baiamontes were hurled of their misused throne, and the Amancios, more powerful and influential than either the Chiaros or de Fioris on their own, rose once again to power, amid the joy of the populace. Under their rule, though sustained by cunning and ruthlessness, the guild has prospered once more, and has even opened up in its trade and interactions with the other guilds. Supano Amancio, now the third generation of his family to continuously hold the throne, boosted his own popularity with the people by marrying his long-time sweetheart Ercilia Cioto shortly after he became Rego, but knows that he still holds on to the throne by only a thread, and is willing to use any and every means to stay in power and fight back the rival families. Meanwhile the de Fiori's, Chiaro's, and disgraced but still powerful Baiamonte's continue to hold their place, although the Cioto's, Khoar's, and a number of other families have been rising silently but surely out shadows and look to join or surpass them as leading families of Varlyrio. The Politics of Varlyrio play out almost entirely on the east side of the island, and are deeply intertwined with the trade and economy of the Guild. 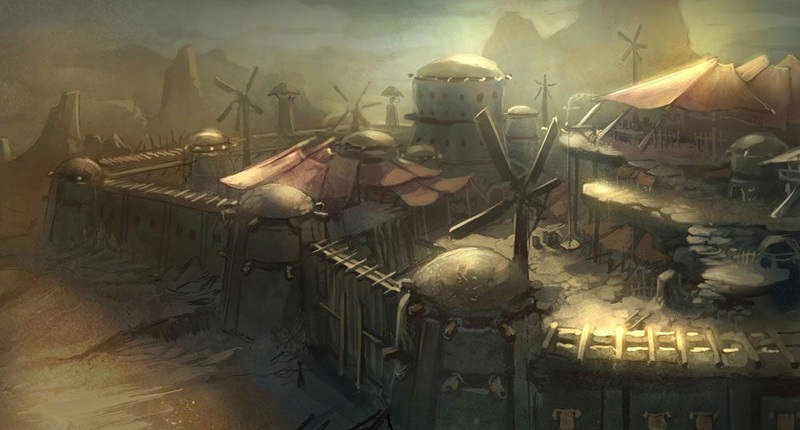 Eastern Varlyrio is the breadbasket of the Guild, producing virtually all of the food, livestock, and raw materials that fuel the Island’s production and trade. The Cities along the east coast developed through trade, and those families that had mastered these trades were able to assume control in these Cities. The Eastern Varlyrio families have successfully funneled the island’s trade through these Cities to benefit their coffers. As the trade Cities grew, the ruling families began to vie for control over the eastern coast as a whole. The complex trade taking place within the Guild required a massive bureaucracy to help administer contracts, manage warehousing and storage, coordinate shipments and enforce customs and regulation. Merchants would negotiate contracts to provide materials and goods to markets outside their City, and Families began to negotiate these contacts on the behalf of the bureaucracy. It was determined that the family that negotiated the most income for the Bureaucracy would be awarded the position of Minister for that trade. Once this precedent was established, Families quickly began to buy up trade futures, and then use them to boost their families negotiating power. Today, there are 11 trade ministers (Finance, War, Arms, Art, Domestic Goods, Agriculture, Herds and Stocks, Plantations, Commerce, Seas, and the Prime Minister of Trade) as well as the ministers of Dwarven and Goblin Affairs. The family that earns the most contracts in all trade is granted the position of Minister of Trade, and serve as the Rego for the Guild. The Minister of Trade, and the two next highest earning ministers are called the Artori. These three ministers rule the Guild, with the Rego having the strongest vote. Each year, all trade contracts are finalized during the Tradewinds Festival (The beginning of the Spring trading season) and the Minister positions are reassigned to trade families based off a combination of 1.) the total contract amounts negotiated for the upcoming trade season, and 2.) the total value of export duties earned over the past 5 years. Trade minister positions are highly lucrative, and families will do anything to retain these positions, sabotage other families, or gain new positions. Assassination, forgery, blackmail and bribery are commonplace in Varlyrian politics and trade, and a number of families are rumored to have arrangements with the Western Pirates to target the vessels of other families and other Guilds. The east coast of Varlyrio is the most beautiful part of the island with fertile deltas, sparkling rivers, sandy beaches and rising cities. This region has a very Mediterranean feel to it. The east coast is the heart of the Valyrian economy, trade and politics. 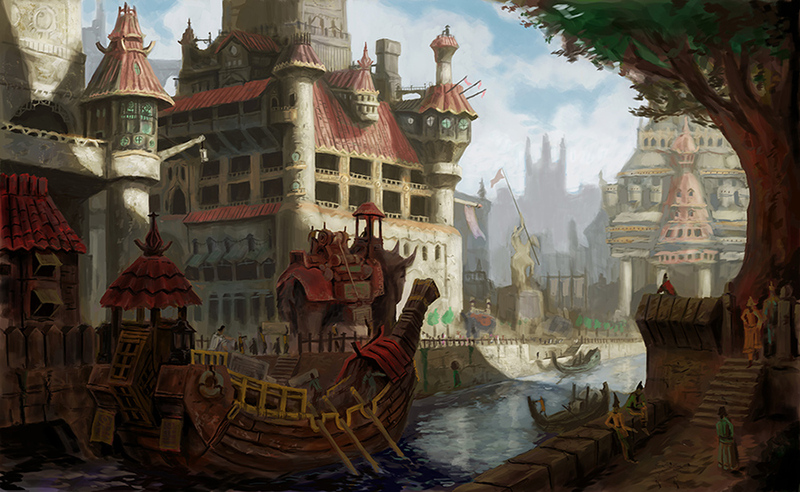 The Bay of Illar is host to several prominent cities, including the capital city of Illaryian. The other major trade cities of Varlyrio extend north and south of the Bay, capitalizing on the Bay’s commerce. Each of the coastal cities started as isolated settlements, but over time have grown to the point that they stretch out like one great sprawling metropolis. Paved roads extend between the commercial districts of the coastal cities, and cities within the Bay of Ilar are crisscrossed with canals and channels. The bay is the safest access for ships to travel forth and back to Historica, and the main port lies in Illaryian. Varlyrian architecture focuses on grandeur and expense, and the Cities are characterized by large pillars, high roman/Greek/Venetian architecture, and tiled roofs with elaborate domed towers. The Bay cities are built around the canals, with businesses and residences lining canal corridors, or opening directly onto the water. Trade and transport is performed primarily by boat, and the rich and affluent travel by gondola. The agricultural countryside is dotted with small farming communities who maintain the large grapes, olive and plum plantations, and lavender and wheat fields. On the somewhat yellowish grass, goats and sheep graze. Varlyrian horse are bred for speed and appearance and are highly prized by the wealthy elite. The surrounding towns are focused on processing and transport of the crops and livestock from the area to the coastal cities. Known as the High Ridge Mountains by the Dwarves and the Coluna mountains by those to the East, Varlyrio is divided by this tall mountain range. Only one main road leads from the Eastern cities to the Wastelands and that is through a steep pass through the High Ridge Mountains. This mountain range is home to an ancient race of stout dwarves who have long mined and defended these mountains and the surrounding foothills. 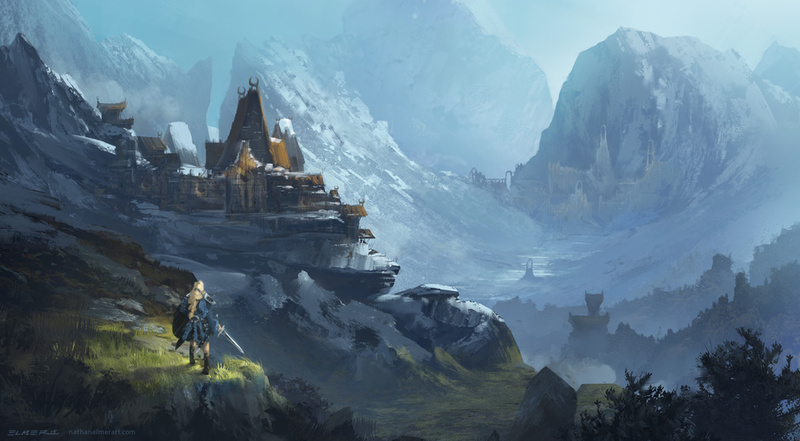 The dwarves have built fortress like cities within these mountains to serve as hub for trade and supply. These Dwarven strongholds can be accessed from the main road or from smaller roads the Dwarves have built out of Eastern Varlyrio to the north and south. The main pass is heavily guarded and toll payment is required to gain safe passage. The rains that help keep eastern Varlyrio fertile are caused by the High Ride Mountains, and the western side of the mountains are cold and dry, with only a few tops holding snow year-round. Little grows on the High Ridge, and the dwarves are dependent on traders and travelers for many of the fruits, vegetables and spices they use. 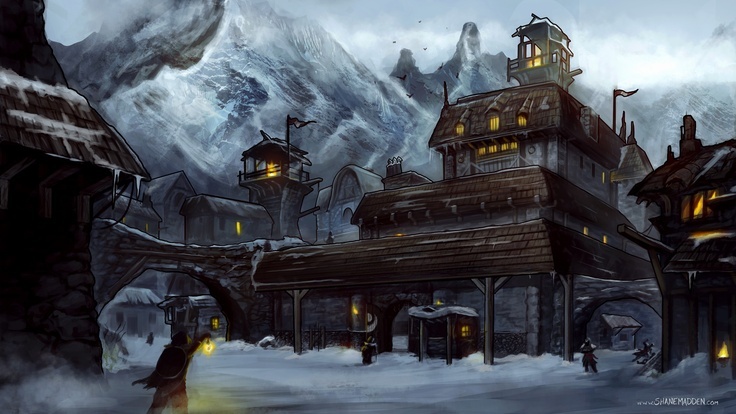 Through the toll they collect on the main road, as well as their trade in ores and gems, the Dwarves have accrued vast wealth, and are more affluent than their other Historican cousins. Stretching from the High Ridge Mountains to the western coast, the wastelands are hard, dry and forbidding. But this is no desert with sandy dunes, but instead stony hills, table mountains and broken hills govern the landscape. 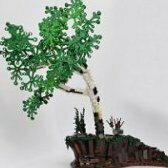 Little grows on the hardened soil of the Wastelands except scrub trees and bushes and sparse hardy grass. Water is the most valuable asset in the Wastelands. In the foothills and plains at the base of the mountains, the main denizens are orcs and minotaurs. The monsters fight for control of the lands and recognition in battle. Often living in tents and walled burrows they lead a nomadic life. The orcs grow berries and keep pigs for food. There are a precious few very deep wells provide the necessary water, but they are scarce, and are some of the greatest prizes for which the nomadic tribes battle. The dwarves have mountain outposts and patrols to guard their mines and lofty strongholds from the wasteland wanderers. Beyond the mountains, the wastelands inhabitants are hidden and largely isolated. There are no main roads or trade routes beyond the mountain foothills, except along the coasts, and the secrets of these wastes are known only to those that can survive there. 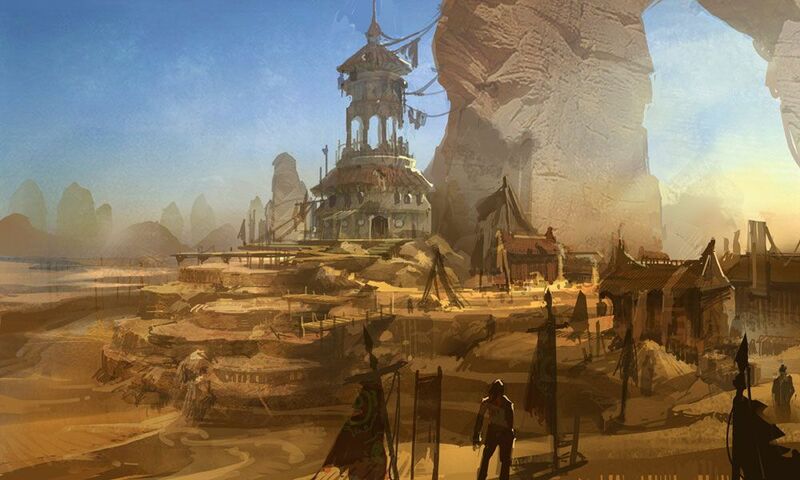 The Coastlines are home to pirate ports, Tribes of Feline and Serpentine Races, and gritty bandit outposts. The Scarlet Marauders are the largest and most organized of the Pirate bands, and their scorpion sigil spells doom to those Historican Merchants that spy it on the high seas. They are rumored to have illicit agreements with some of the shadier Varlyrian families, but those rumors have never been substantiated. Gnome enclaves can be found dotted throughout the mountains and wastelands. The gnomes mine for ore, gems and other materials to help power their contraptions. Their advancements in technology are not always reliable, and many a gnome has tinkered a step too far, ending in an explosive last hurrah. 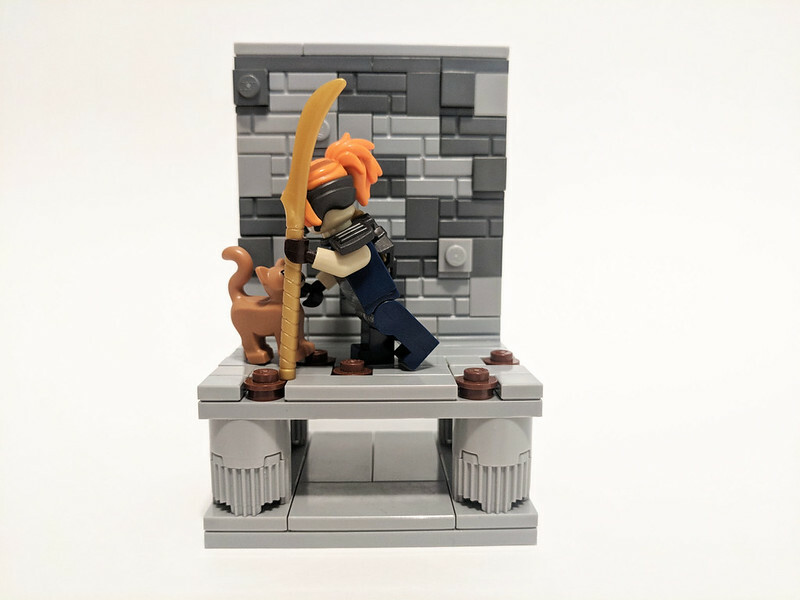 The gnomes have been known to muster formidable defenses for their enclaves, ranging from golems to mechanical beasts to explosive traps (sometimes intentionally), and they are largely unmolested in their daily lives. 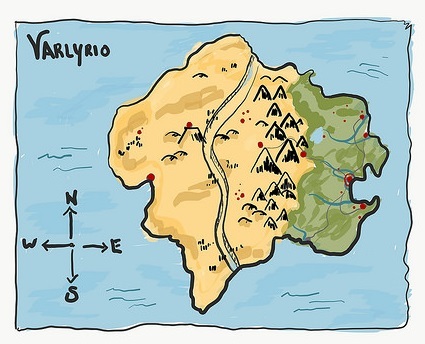 Long ago, Varlyrio had been composed of two separate islands. The eastern island was drier, and the western island was wetter and fertile, with a large inland sea. When the two islands collided, the High Ridge mountains were formed at the impact, the basin of the great inland sea was split asunder in the massive earthquake that resulted, and the water from the sea was drained into a massive subterranean cavern. With the new mountain range, the western land became dry and arid, but the subterranean lake continued to be fed by underground river that drain the High Ridge mountains. The ancient peoples (Largely the Kolgari race of Elves) that had dwelt along the inland sea were forced to migrate underground and settled along the shores of the great lake that had formed. Strange flora and fauna grew up in the great cavern devoid of sunlight, and the Kolgari used their knowledge and magic to alter their terrestrial seeds and seedlings to adapt to the subterranean environment. After centuries of constant use of this powerful magic, the plants, animals and inhabitants no longer resemble what they once were. Beautiful alien cities exist amidst beautiful colored flora. Only a lucky few have been able to witness these exotic sights. Some of the Kolgari have migrated above ground, and their magic and healing abilities are highly sought after, though few know where these people are truly from. Varlyrio has a wide variety of races, strange enough, these races don’t usually live close to one another. Dwarves: Mostly in the dwarven mountain dwellings and great halls underground, with a large population also in the eastern coastal cities. 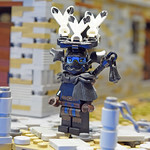 Gnomes: some in the cities, but mostly in the gnome towns in western wastelands, and a few in the High Ridge Mountains. Orcs/minotaurs: warriors who live in camps and nomadic bands in the eastern part of the wastelands. They are often employed as mercenaries by Varlyrian nobles and families. Goblins: Infest the wastelands, as with any sparsely populated area that they have access to. 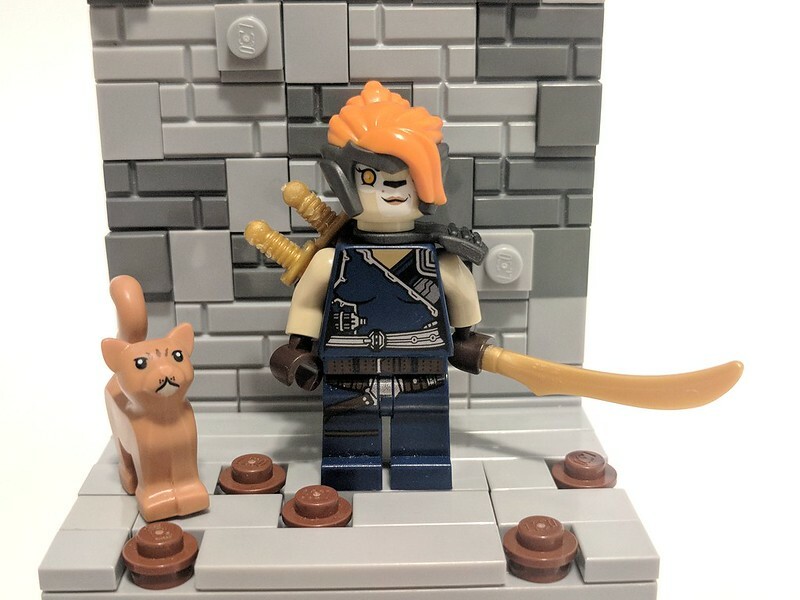 Lionells: catlike humans who split between the eastern cities, the western bandit and pirate outposts, and their ancestral bands in the wastelands. Scorpions: originally isolated marauders, they helped form the original Scarlet Marauders and have been aligned with them ever since. Snakelings: nomads and robbers who roam around in the wastelands, Large infestations have been rumored to occur, with hundreds of thralls under their control. After completing challenge 1 parts A and C, and at least your home scenery for challenge 2, Your family will be eligible for a royal minister position, based on the trade they are engaged in, as determined by the Lords of Varlyrio. The minister positions are awarded to the master of that trade, so the more your builds incorporate the parts of your trade (from raw materials to processing to shipping and sales) the better your chances will be for gaining your minister position. Participating in overall challenges and later Varlyrian challenges will grant your family other benefits, which will be determined. Varlyrio is the home to tumultuous political intrigue, and chaotic trade wars, and this will be incorporated through future mini-challenges. · You need to complete all 4 categories below to complete this challenge. Present your main character or the person in charge of your family (if it is not your character) and include their backstory. A family contains of more than one person, so present each notable member with a short backstory. You didn’t get famous by sitting doing nothing. Display your business or main trade. 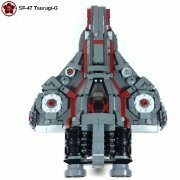 Suggested: 24x24 or larger build. With all the fame and fortune comes a nice residence. Display your primary residence. Suggested 16x16 building with additional base, suitable for the area you live in. · You need to complete at least 3 of the categories below to complete this challenge. Build a dwarven mine, a minotaur lair, or some other mountainous scene. Build a typical dwelling, watchtower or structure of the savages that live in these areas. 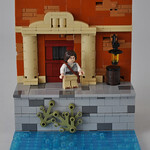 Build a scenery of the alien world that the denizens of the Sunken City inhabit. Build a pirate outpost, a marauder stronghold, or some other forsaken coastal stretch. Rego: Supano Amancio (The Amancio family had early success in the ship-building trade, and they have been able to ride this success to semi-permanent status as one of the three Artori, and Rego for the last few generations. 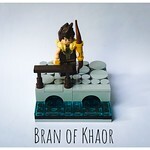 Atori Family: Bran of Khoar (The Khoar family have mastered a mystical skill in finding, skinning and working the strangest hides into supreme armor). The Khoar armors are found all over Historica and their legends, which has helped raise them to the status of one of the three Artori. Major credit to Narbilu for writing most of the backstory on Varlyrio. Bran was called to his dad’s quarters. The aged Lord Nar Bilu had saddened eyes, he asked the grown up boy to sit at his table. As Bran sat down, his father started to tell about his early days and how he got his funding for his very first Avalonian army. 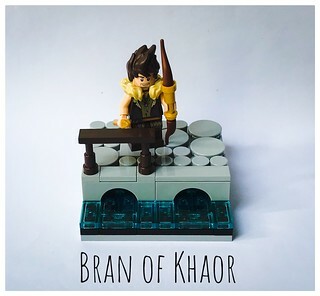 The brother of Bran’s mother, so his uncle Rashgrall Khaor, fled to Varlyrio to became one of the most important tradesmen of Historica. He acquired the rights for trading leather on the island and abroad. He established a name, people from all over Historica wanted his leatherwork. On the east coast he purchased a number of buildings in Kashgar, which became one of the largest trading cities of Varlyrio. Most recently uncle Rashgrall died and Bran’s nephew Throl took over the family business, together with his sister LouLou. Throl wrote Lord Nar Bilu a letter, asking for Bran’s help. He is in dire need of a multi skilled trustee, with enough courage, to deal and trade with the savage encampments of the Eastern Wastelands. With knowledge to track and hunt down targets and the necessary skills to stay alive. Knowing the recent events in Historica, he figured that Bran could use a challenge. Bran would be made responsible for the special missions. Tracking, trading and hunting for skins that usually don’t go to market. Bran took the necessary trinkets and souvenirs from his adventures and stuffed them in a satchel, along with some gear and weapons, which he loaded on a horse. He asked his father to respond to his nephew that he was coming as soon as possible, but he had one more errand to attend to. 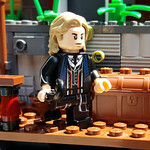 His last trip was to Barqa, where he convinced a friend to join his quest to Varlyrio. By the end of the next morning, the towers of Barqa were needle points at the end of the horizon. Bran an Marlowe sat at the bow of the ship, with wind stroking their hair. Bran managed to talk Marlowe in to joining on their adventure. Marlowe is a large Lionelle with a charismatic face and the ability to persuade the most stubborn creature. The two talked for hours on their sailing trip to the east coast of Varlyrio. When they arrived in the riches of Kashgar, they discussed their plans to the last dot. They were welcomed by Throl and LouLou, his sister. After a long talk, they shook hands and Bran was introduced to the people of Kashgar as family. And here is Matthias de Cereto, declaring for Valyrio. An old family, the De Ceretos are proud and stubborn, and have built an industry out of trade with the mainland. 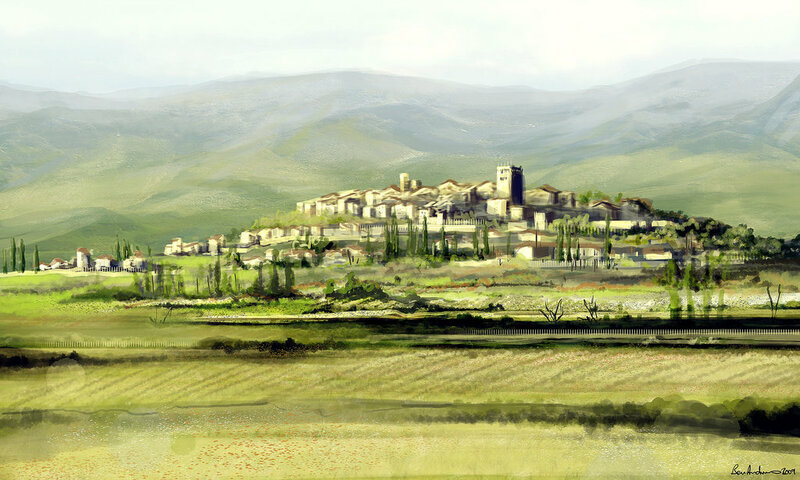 Known for driving a hard bargain and risking it all, the De Ceretos are a family grew wealthy fast, and as their industry expanded the family members became less and less involved in the business.This allowed them to pursue a role in Valyrian politics, giving them even more prominence on the island that was their home. Their homeland was the eastern countryside of Valyrio, with the port city of Apri located on the north-eastern coast became their capital. This gave them close ties with many Avalonian Cities, including the small island of Eolas. However after decades of intelligent well-mannered heads of families, their luck finally run out. Matthias de Cereto was known to be a swine from a very young age. Handsome, charismatic and very, very flamboyant, Matthias was a hit with the ladies of Apri. However that gift also came with the lack of any rationality, with the family's famous head for business made no appearance in this young man. Matthias preferred to leave his education to his younger siblings, and at the end of the day would often end up drunk and chased by the city guard, who were only kept from decapitating him by his last name. But all was not lost, for at a young age Matthias de Cereto found a love for politics. And while he did stick around for much formal education, he read as many books as he could on the history of the guilds politics. As much as he loved drinking fine wine and getting into mischief, nothing would stop Matthias from finishing that book on the reunification of the states of Latrios, or the crisis unfolding in Kaliphlin. Looks like a great new guild! Glad it is finally playable. The De Fiori's are experienced sword-makers and the masters of that trade in Varlyrio. 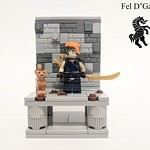 At least once within inches of ruling the guild - about six inches of a cold steel from it - the De Fiori's still hold their place among the top three, and might just be glancing surreptitiously once again at the throne... The current head of the family is Alesio De Fiori, grand-nephew of Dialto De Fiori. 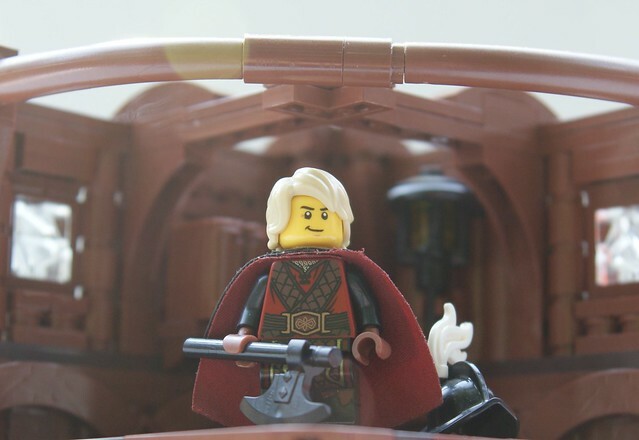 Born aboard a ship on a trading voyage to Mitgardia, Bjarke De Fiori is the son of the nephew of Alesio, who had married a young Mitgardian lady of noble lineage - and, as he was neither too important to his own family, nor she too great an heiress in hers, nobody put up much of a fuss. Young Bjarke has his family's knack for sword-making, but he also inherited the Varlyrian love for adventure, excitement, and conquest of the waves, and the boldness and daring characteristic of his Mitgardian ancestors. Great job Rogue and Narb on fleshing out the guild and working on the write-ups here! And that's some pretty epic concept art, Rogue! This is Luca di Carlo, a merchant residing in the city of Ostia. Luca is the head of family in a family that has a long history of trading. Great start of fleshing out the lore of Varlyrio! In my opinion you’ve captured some of the best elements of Nocturnus with all the diverse peoples and tribes, although maybe with less lava? The team is also starting to look really strong! Can’t say that I’m not extremely tempted to join, but someone has to stay behind and tend to old Barqa too I will definitely revisit the island anyways, still have a ton of Garra soldiers in a box from my previous build there. With my Mitgardian sigfig in Yureishima (with more adventures to come), it's time to try a new Guild. I'm excited by the opportunity to help shape something new on GoH and I love the in-depth lore and descriptions offered here. Varlyrio seems to offer a lot of possibilities and I like the "warring merchant princes" concept. Her name is Fel D'Gatto, of the East Coast D'Gattos (they're a big lionell/catfolk family with typical roots in the wastelands). She's the oldest daughter in an old family that has long tried to gain a foothold in Illaryian. Unfortunately, lionells sometimes have a hard time even in cosmopolitan Varlyrio and the D'Gattos face prejudice for their connections to Wastelander bandits and pirates. 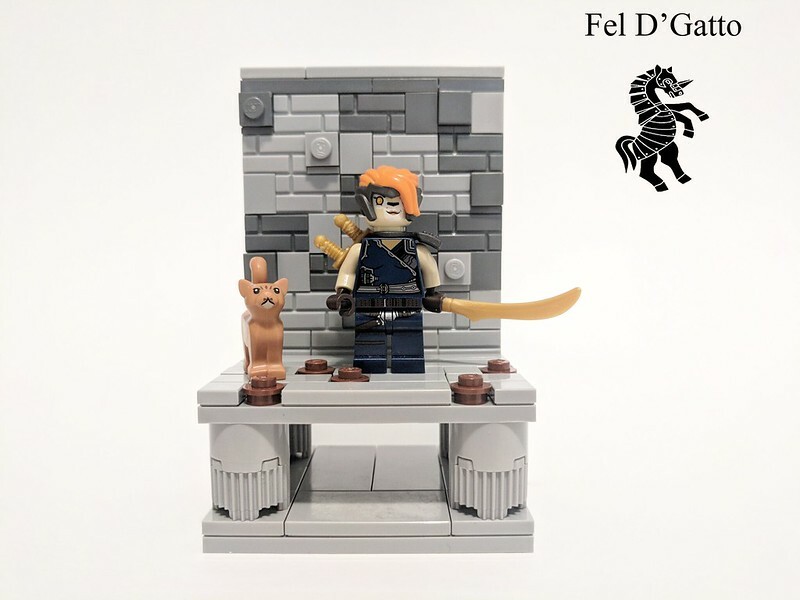 The D'Gatto family business is antiques and artisanal furnishings and art (though they've also dabbled in githril smuggling and other sordid enterprises). Fel's interest runs more toward lost relics and rare artifacts, making her the "tomb raider" of the family (:wink:). She is particularly interested in recovering items that prove the existence of a legendary catfolk empire, a passion that often takes her to Historica and especially Kaliphlin where her family enjoys some influence with prominent lionell families. In all her pursuits, Fel struggles between a strong sense of justice and a pragmatic willingness to get her hands dirty to accomplish her goals. This tension means she can walk a tightrope between many levels of society, with reputation and rumor following every step. Even as she pursues her own goals, her mother pressures her to return to the family estate more permanently and take a larger role in D'Gatto affairs as the future matriarch of the family. Expect to see more D'Gattos, and their allies, in builds to come. 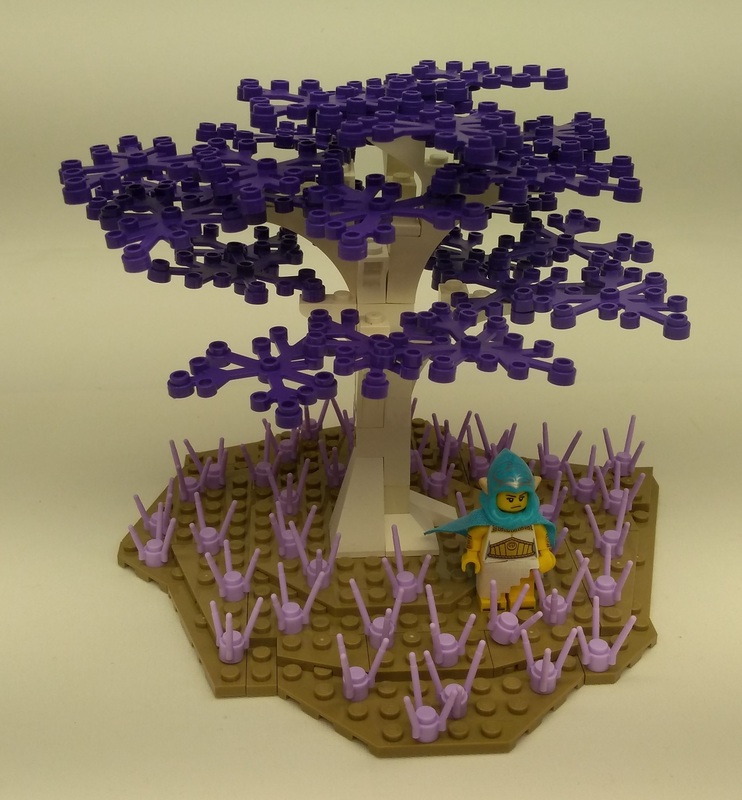 Sorry for the double-post but here's my first Build for Varlyrio... which is set in Kaliphlin. Sorry! Who did the art just below the map? 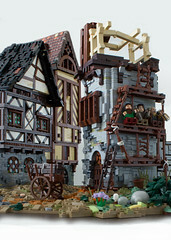 I'm not doing medieval stuff right now but I have to build something like this! Or has anyone done this yet? How do I title a build for any of the guild challenges? 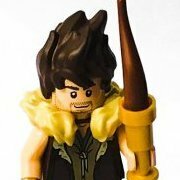 @ranghaal - You don't have to be established with builds before joining, and it's actually better not to be. 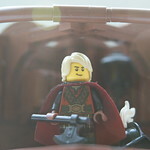 The key requisite to joining is posting your sigfig, just to give us an idea of who you are. 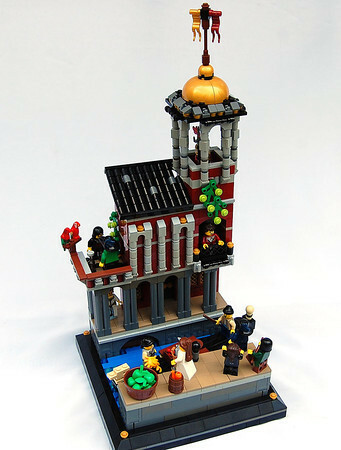 There are many members that don't post a build until the first challenge, or until they are completing Guild mini-challenges, so please don't feel any obligation other than just introducing yourself. I, for one, like to flesh out my realm in my mind before ever posting a build so I know the environment I am building in. Others like to let their brick collections determine what they are building - it's all up to you. Welcome to @ZlatanXVIGustaf, @Andrew Spader and @mccoyed. Great to have you aboard! @ranghaal - You don't have to be established with builds before joining, and it's actually better not to be. I just want to finish some of my own ideas before. Can anybody tell me who did this great artwork below the map? Wow, I misinterpreted that. Those are fantastic! Whenever you are ready works. The artwork was not done by one of us, but was something I found online. 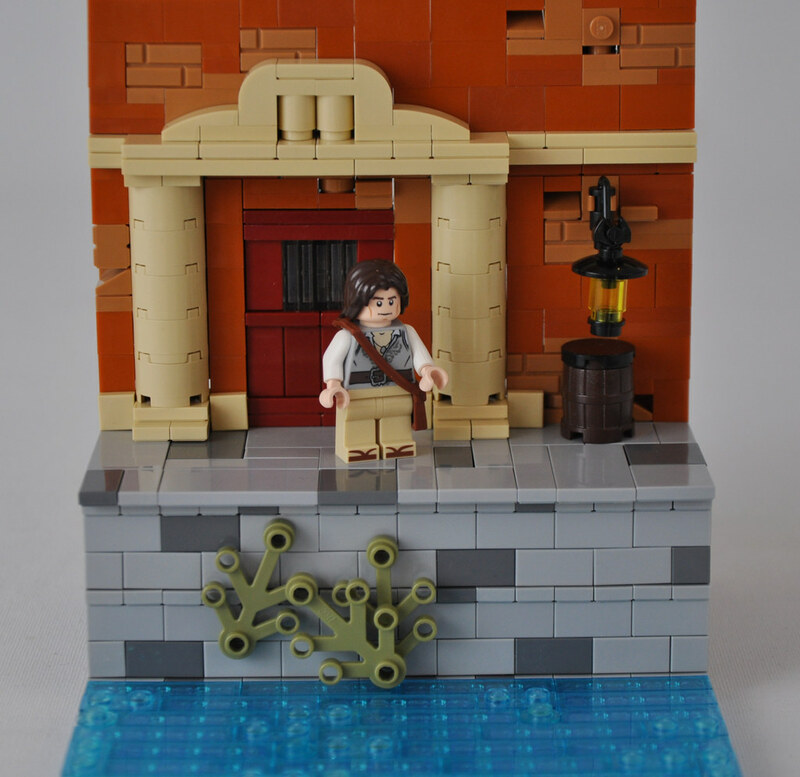 I would have liked to give the painter some credit when adopting his work to Lego. The art seems to be from a card game called Arcana. 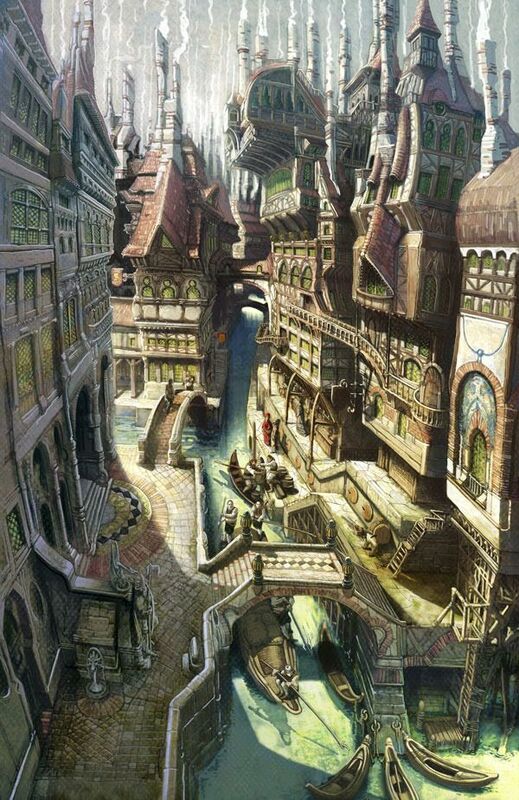 Specifically, a sepia version was used for a card called "Canals". Here's a link to the card. Unfortunately, I don't see a credited artist, but the product page does credit a bunch. Thanks again! If I ever do this I will mail them and ask! I assume task 4 is relevant for Varlyrio too however no one has touched that thread in years (at least no new posts). Is it still the way to get a settlement recognized on the map? It applies to all Historicans, so yes, it is relevant to Varlyrio. And we're working on getting it back up and flowing again - you could be the first new post in a while! I don't know how you Varlyrians want to do it, but it is the way to get settlements recognized in Avalonia now. Avalonia's Task IV applies to all the Guilds, and Henjin is graciously taking on the responsibility of getting the thread up and running again. Cheers @Henjin_Quilones for getting that back up and running, I look forward to getting Ostia on the map. Valyrio is an interesting place, and as a trading hub, it would bring together all the latest technologies. I have seen this discussion many times before, but it could go differently in this guild. Would it be correct to have some soldiers from Valyrio armed with primitive forms of muskets? Not an entire army, but just a regiment or so? Whats your opinion on this matter?